Perhaps the only feature that can divert your attention from the stunning view at Jonah’s is the exceptional food and wine offering. The award-winning Hatted Restaurant offers excellent Contemporary Australian cuisine under the direction of Executive Chef Matteo Zamboni in collaboration with Restaurant Manager Mauro Ferrari and Head Sommelier Niels Sluiman. Jonah’s main dining room offers uninterrupted views of the ocean with floor to ceiling glass windows. Our multi award winning restaurant showcases a seasonal menu offering the finest local produce. Jonah’s Terrace balcony is perched on the cliffs of Whale Beach overlooking the Tasman Sea, allowing the cool scent of the ocean to breeze past as diners make the most of the unparalleled location. The balcony is also home to a special menu of lighter, mid meal grazing items. Jonah’s intimate, cosy and relaxed bar is the perfect environment to unwind. Open daily from noon offering light snacks from the Bar & Terrace Menu. Enjoy enticing cocktails using Jonah’s house-made syrups, house made lemonade and iced tea or select from our award winning wine list. We have proudly earned many awards including a ‘Chef’s Hat’ from the Sydney Morning Herald Good Food Guide for the past ten years, along with being awarded Australia’s Wine List of the Year in 2017 at the Gourmet Traveller Wine List of the Year Awards. A limited seasonal A La Carte menu is available for groups of 13 to 23 guests. Please complete our enquiry form and our reservations team will contact you shortly to discuss your requirements. Don’t feel like driving? Jonah’s recommends On Q car company as a cost effective chauffeur driven, local, friendly and efficient way to travel. Please call Deborah on 0407 027 119 to discuss your transportation options. We maintain a smart-casual dress code in the dining room at Jonah’s. We do not allow swimwear, men’s singlets/tank tops and/or flip-flops. Should the Manager on duty find your attire does not meet our dining room dress code standards, we reserve the right to request a clothing change or recommend our casual dining area, on the Terrace or Lawn. Italian born Matteo Zamboni’ impressive career has included opening his own restaurant Zambo previously located in Surry Hills, prior to that he worked at 2 Hatted Pilu in Freshwater as Head Chef, 2 Hatted Ormeggio at the Spit, 3 Hatted Quay Restaurant Sydney, 3 Michelin Star RyuGin in Tokyo, Head Chef for the royal family in Qatar, Doha. 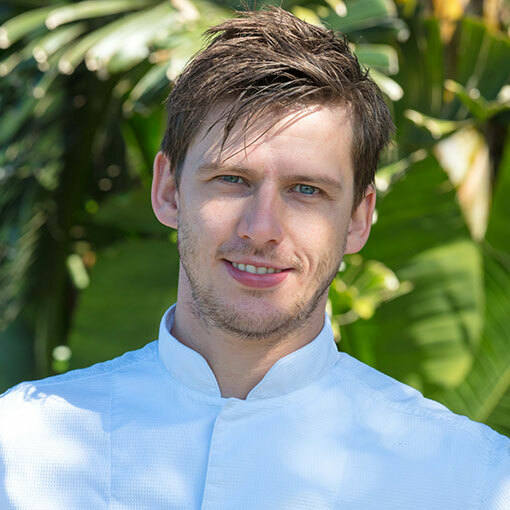 Matteo has worked at some of Italy’s finest Michelin star restaurants including 2 Michelin Star Cracco Ristorante in Milan, 3 Michelin Star La Pergola dell’Hotel in Rome and 1 Michelin Star La Terrazza dell’Hotel Eden in Rome. Group Head Sommelier Niels Sluiman brings a wealth of experience to Jonah’s having worked in some of the worlds most outstanding Michelin star restaurants. Niels has immersed himself in this role with the desire to keep our award-winning wine list alive, dynamic and accessible for everyone to enjoy. Our wine list features as many as 1600 Australian and international wine labels. Mauro Ferrari, born in Sardinia, joined the team at Jonah’s in 2013 and is an invaluable asset for his attention to detail and expertise in cocktails, food and beverage. 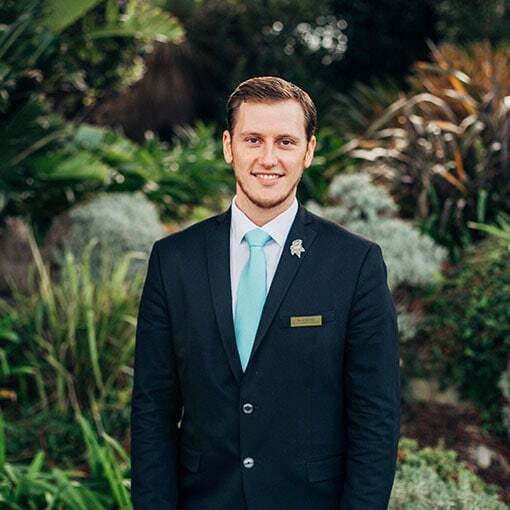 Dedicated to maintaining the highest of standards at Jonah’s restaurant, Mauro is passionate about providing impeccable service, ambience and overall experience for every guest. He ensures that every dining experience is flawless, leaving guests with irreplaceable memories and looking forward to their next visit. We Accept Visa, MasterCard, AMEX, China Union Pay credit cards. Jonah’s reserves the right to make changes to reservations on the basis of changed business circumstances in the period up to 3 months before the booked date. Any deposit paid will be fully refunded (with interest at 7% p.a.) at the election of the patron. This has only been implemented on two occasions in the last 3 years.